… a Fun Couple-of-Hours-Out for your people! Model Airplane Flying is fun… and addictive! to set-up an appointment to learn about our Demo-Flight Program. Give your people something to look forward to… something to talk about… something they can share as a common experience…. and maybe give them a new hobby to enjoy, together. 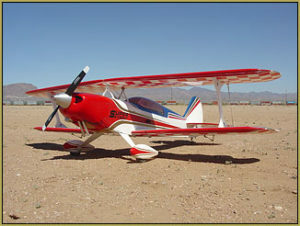 Bring your group out to our exciting model airplane “miniature airport” and enjoy our introduction to RC model flying. 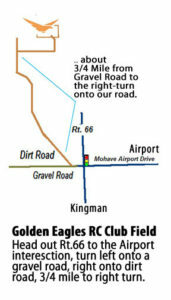 The Golden Eagles RC Club is offering free Demo Flights as a way to introduce ourselves to our Community and to introduce the RC flying hobby to prospective new members and supporters. The hobby encompasses many interesting disciplines… learning to fly RC models, learning to assemble and build the models, learning about the many engines and motors… the radios, the batteries, the physics of what brings everything together to create a nice flying model. Some modelers “build” more than they fly; others FLY more than they build! An RC modeler can download plans and build a model completely from scratch, he can buy a kit (generally a box of box of balsa-wood and plywood all laser-cut to shape!) or an ARF (Almost Ready to Fly… 90% finished, just needs final assembly by the modeler)… or he can order an RTF (Ready-to-Fly) model and be in the air in minutes. So many choices… such excitement! We have experienced RC pilots and instructors who are proud of their models and proud of our hobby who can hardly wait to share their knowledge with you! 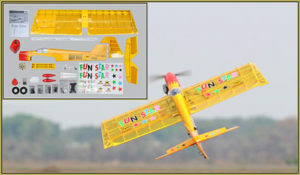 It all seems like stupid fun, but model aircraft are, indeed, “aircraft” and a they require a degree of technical perfection and a skilled finesse at the controls that brings nice satisfaction to those who learn the required skills. Your teammates will be able to pilot a flying model with the assistance of one of our trained instructors. They will get a hands-on feel for the thrill of flying radio control models. They will have something to talk about, something to laugh about, for weeks to come.